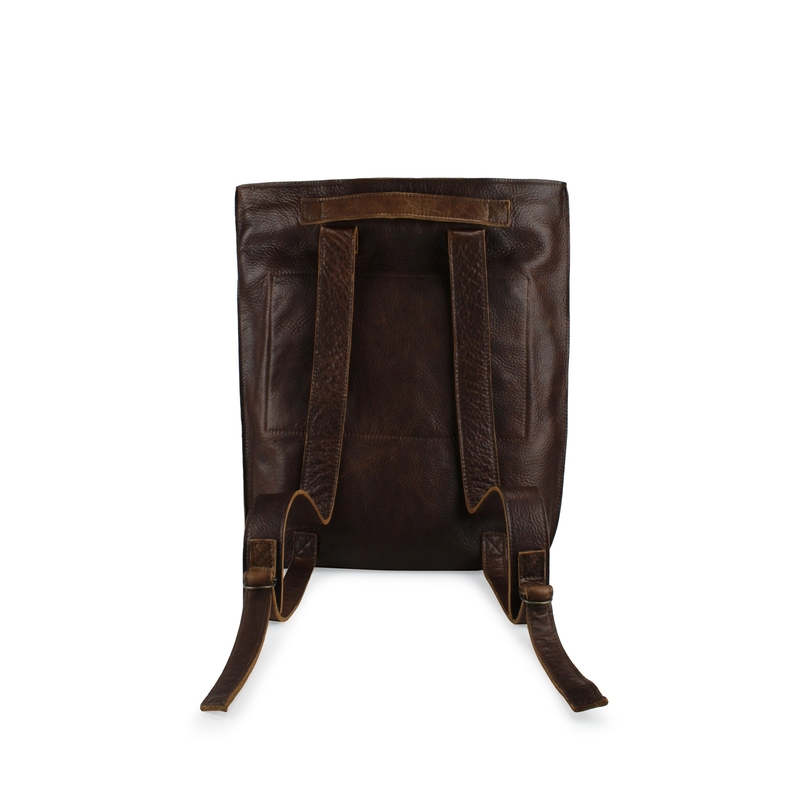 Leather backpack with handle and zip fastening on top. Adjustable shoulder straps, no lining. Compartment with zip fastening on the inside.